I’ve been working at this nursery since early March and am really enjoying it. Even in this short time I’ve already learned a huge amount about a whole range of plants, and also picked up some tips from the florists. On Friday I created this display and I thought I’d share it with you! One of the other girls, Anna, had found a set of massive old barn doors on the side of the road somewhere and she went and picked them up, convinced they could be used somehow in an amazing display at the nursery. They were pretty badly weathered and falling apart in places, but on one side the wood had a beautiful patina and interesting shapes. The doors were massive so it took four of us to lift one and carry it inside, and then it took six of us to brainstorm and work out exactly how we were going to position it and support it so it looked right and served its purpose as a display table and barrier between the nursery and the florist area. Eventually we figured it out and cleaned up the doors and were all a bit blown away by just how good they looked! 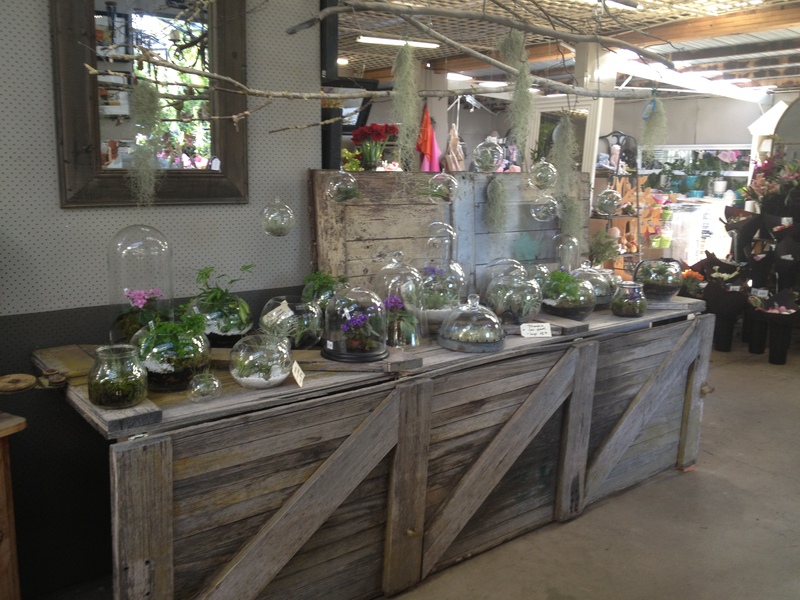 We also hung some birch branches above the table for hanging glass containers and Spanish moss. 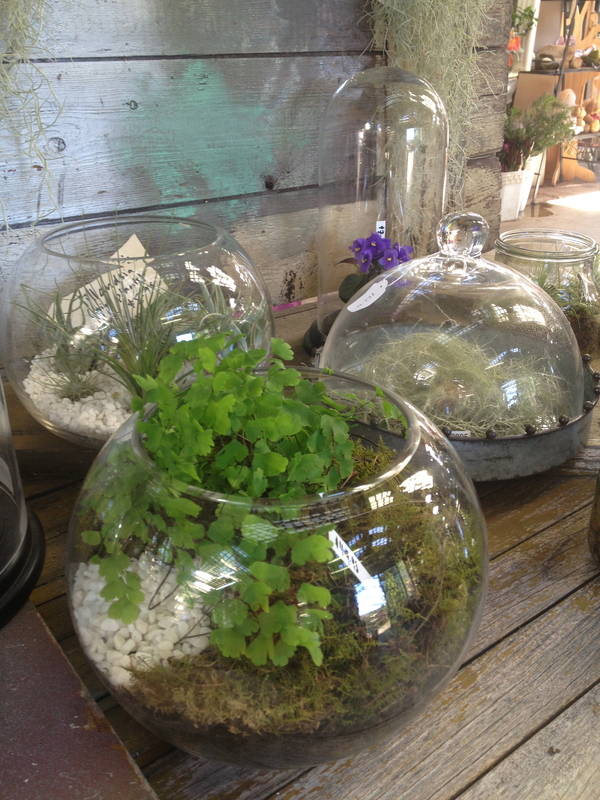 The rest of my day was spent making terrariums and other plant displays inside glass containers to be arranged on the new table. 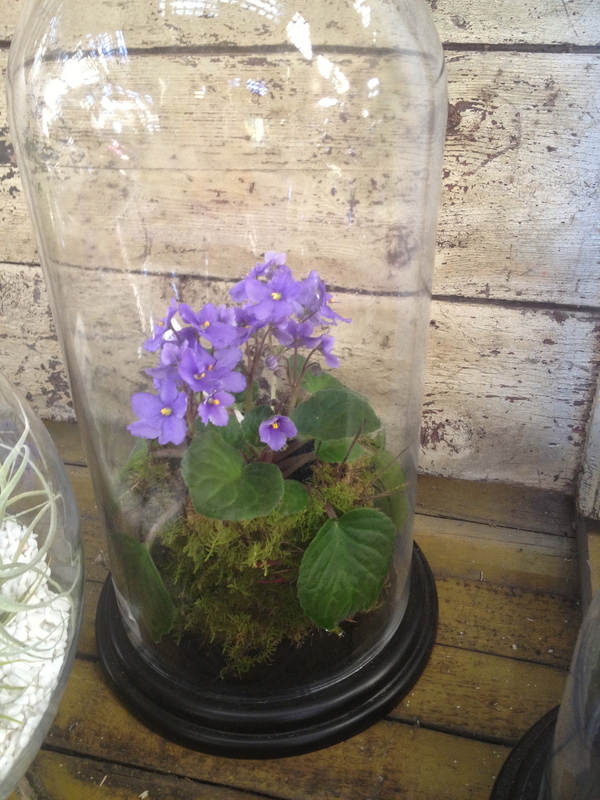 I made fish bowl terrariums with a combination of ferns, moss and pebbles, arranged tillandsia (air plants) on pebbles in fish bowls and hanging glass containers, and wrapped sweet little African violets in moss for display in bell jars. 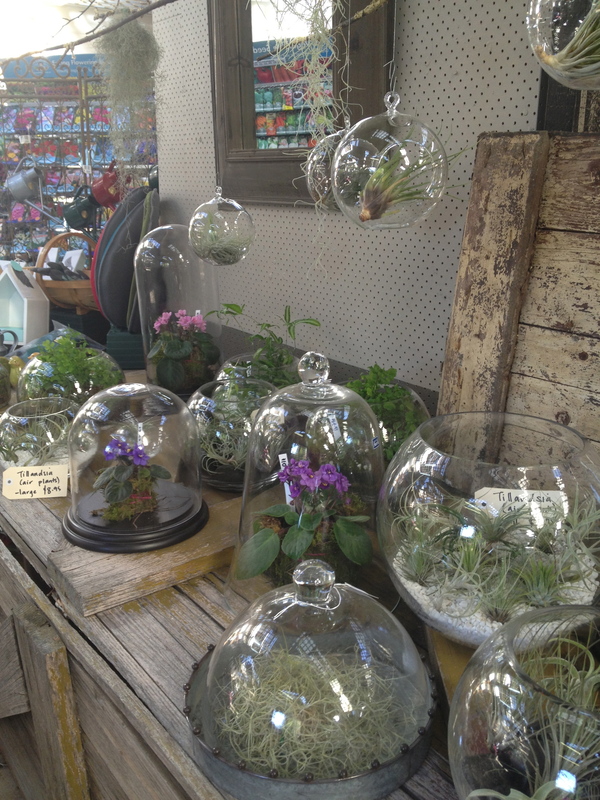 It was amazing being able to make terrariums with everything I could need on hand, and being able to use so many beautiful plants in the display. It was pretty much a dream day at work for me! I’m so excited to be working with people who see the potential in something like a set of old barn doors and the value in spending time turning them into something beautiful. 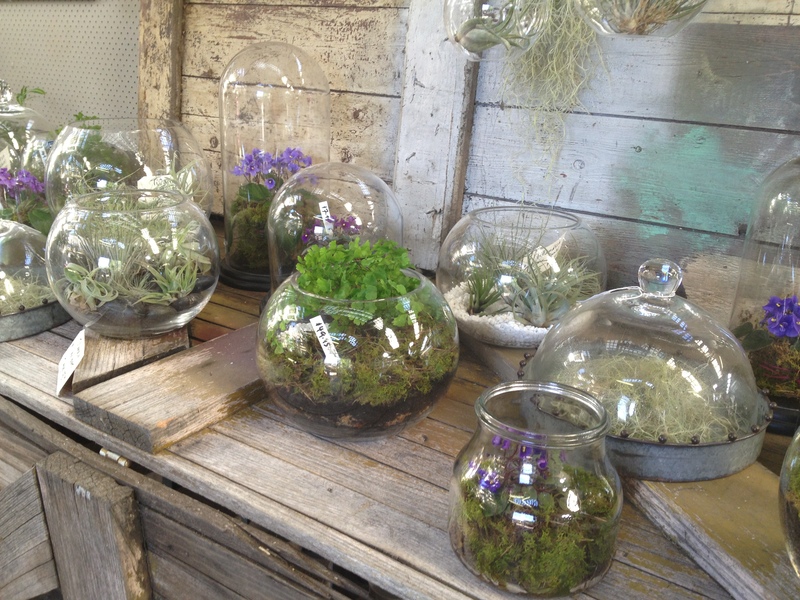 Plus they love terrariums, so I think I must be with my people! 14 Apr	This entry was published on April 14, 2013 at 7:46 am. 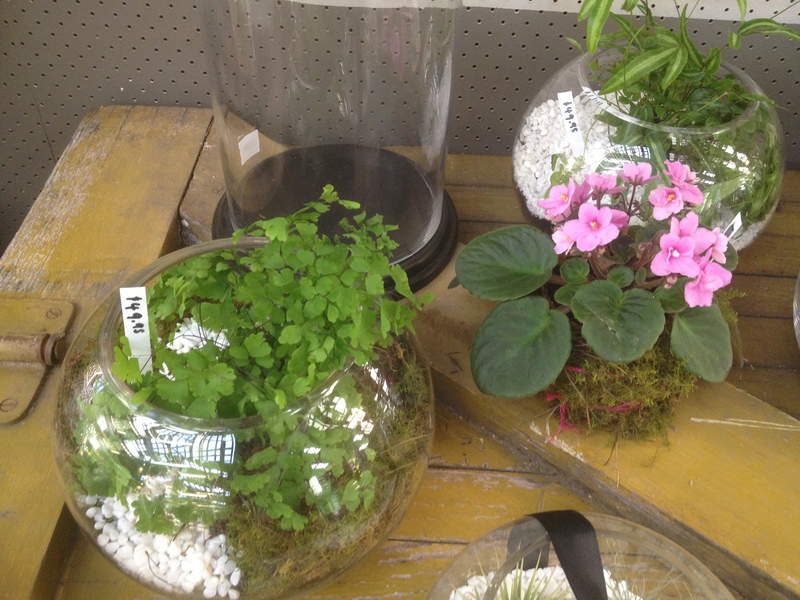 It’s filed under grow and tagged Canberra, decoration, green, grow, kokedama, terrariums, work. Bookmark the permalink. Follow any comments here with the RSS feed for this post.